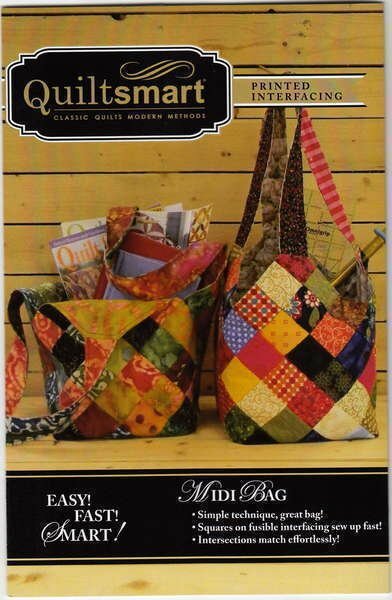 These 'catch-all' bags are great for the beach, overnight trips, or toting you fabric stash to class or retreat. The Mondo bag is 'huge' while the Midi Bag is approximately half the size. This is a great place to use Charm Packs, the 2-1/2" square Candies, or your scraps. Both bags are made using 2-1/2" squares and a pre-printed fusible interfacing (included in the pattern) to make stitching all the seams EASY!! (I promise). So fun and easy you won't want to make just one!